22K and 18K yellow gold featuring four kite shape diamonds 4.81 ctw and one princess cut diamond .15 ctw. Approximately 1 3/4” high. This piece is shown on our 22K gold and oxidized sterling silver double-link hand-made chain measuring 19”. Available for reproduction. 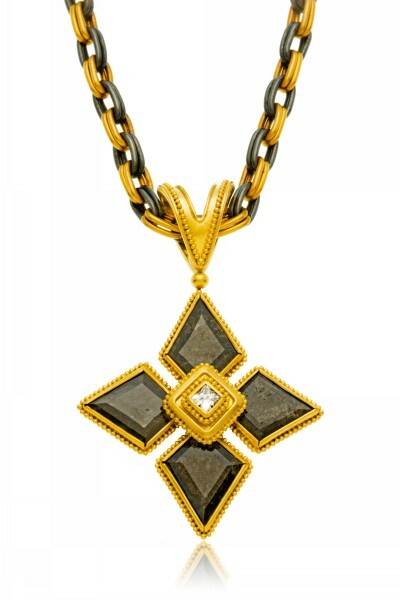 Please note that Shades of Black diamond colors vary as well as exact pendant measurements. Please allow time to source stones.